Present the big match-up first hand when you send out personal Hockey Faceoff Invitations to each of your guests! With room for two image uploads, you can put an all-star’s picture right on the invitation template and advertise everyone’s favorite players who are in it to win it. 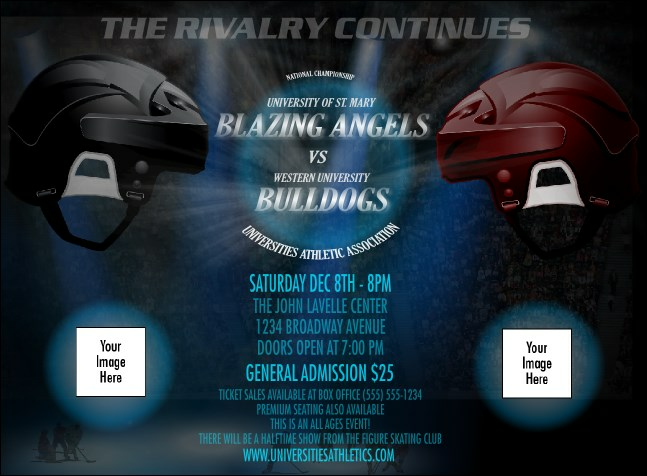 Make your rivals cry with sports Invitations from TicketPrinting.com!